This preview has been compressed for content sampling purposes and is not representative of the high quality and larger screen size of the streaming video available for purchase. This is a streaming video that will not download to your computer. After making your purchase online, you can log into your Peachpit account page to view the video anytime, anywhere with Internet access. Run time: 47 minutes. 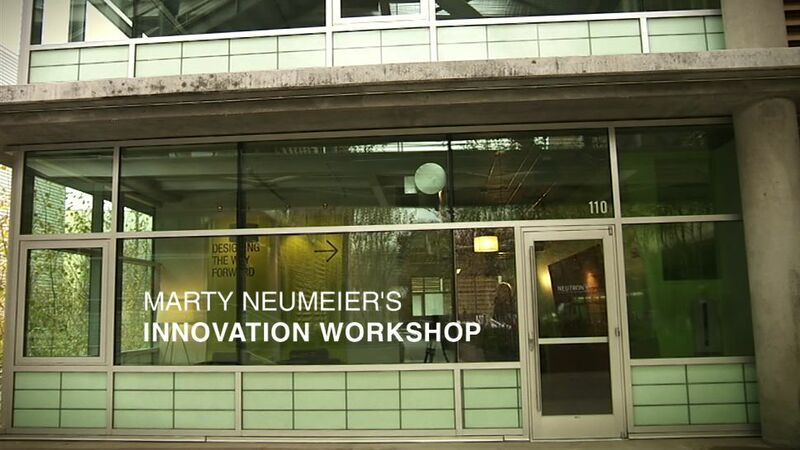 In this streaming video, brand guru Marty Neumeier presents concepts from his three bestselling “whiteboard” books—THE BRAND GAP, ZAG, and THE DESIGNFUL COMPANY—to give you the tools you’ll need to thrive in the new economy. Using memorable principles and simple exercises, he’ll lead you and your team on a lively journey from traditional business thinking to “designful” thinking. You’ll come back to these ideas again and again as you transform your company into a powerhouse of nonstop innovation. Online video with 45 minutes of content and exercises--enough activities for a one-day workshop! Downloadable materials, including exercise sheets and supplementary content. iPod version of the video. 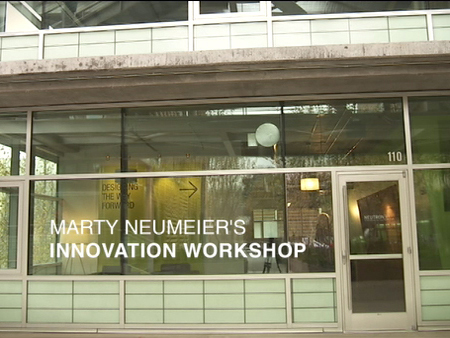 Marty Neumeier's INNOVATION WORKSHOP is a recent recipient of a BronzeTelly Award. Format: This is an online video. After purchase, the video will be listed under Registered Products on your Account page, with a link to the supplementary content.